Congratulations to graduate student Christina Aushana who has been selected for TWO prestigious awards to complete her doctoral dissertation. 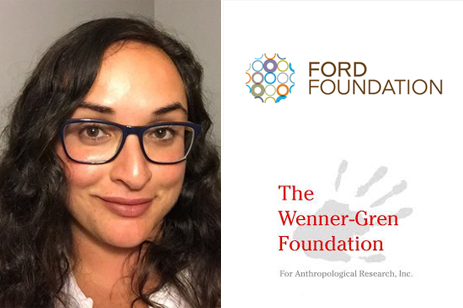 She will receive the Ford Foundation Dissertation Fellowship for her project, “Staging Vision, Screening Others: The Performance and Visual Culture of Contemporary Policing,” and a smaller Wenner-Gren Foundation Dissertation Fieldwork Grant to prototype a community-scripted virtual reality police training simulator in collaboration with local cop-watch groups and computer scientists at the Immersive Visualization Laboratory at UCSD’s Qualcomm Institute. Well done, Christina!